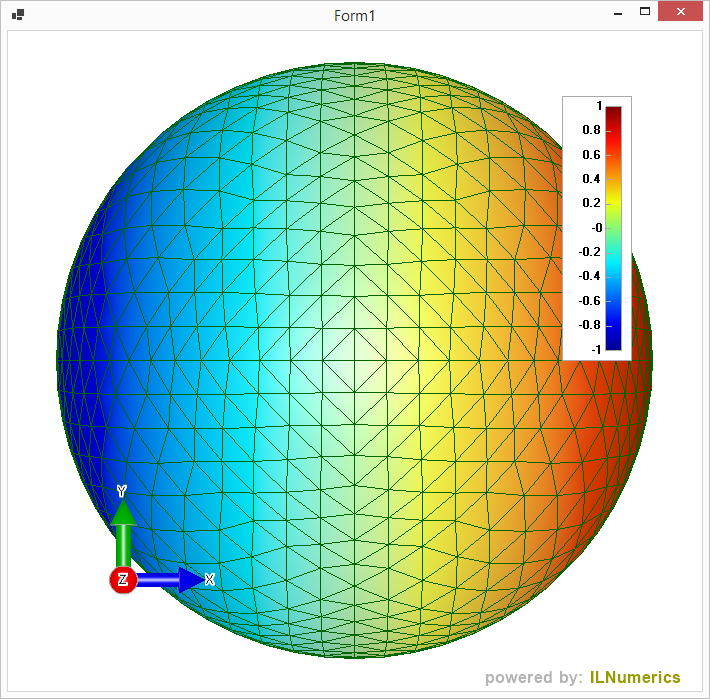 This example creates a common sphere and colors its vertices according to their X coordinate using a predefined colormap. A colorbar is used to indicate the mapping from color to data. The following concepts are shown in the example: Adding predefined shapes to the scene, creating colormaps and using a colormap to color a shape's Colors buffer.